The recent maturation of the foundational technologies needed to support machine learning have made advanced data analytics and sophisticated language processing possible on a scale never before seen. There is a treasure trove of litigation data that for years was virtually inaccessible. 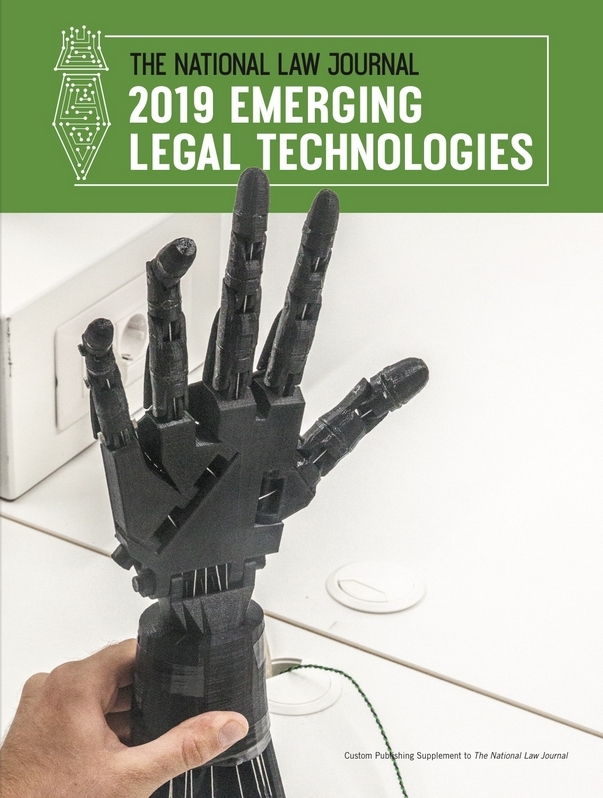 While court rulings and filings were available and individual documents could be accessed and viewed, the technology needed to search and analyze the data and provide useful, actionable information simply did not exist. In 2018, that’s no longer the case. The recent maturation of the foundational technologies needed to support machine learning have made advanced data analytics and sophisticated language processing possible on a scale never before seen. Using these tools, massive amounts of data can be sifted through, organized and analyzed in mere seconds. These capabilities are particularly useful in the litigation arena. 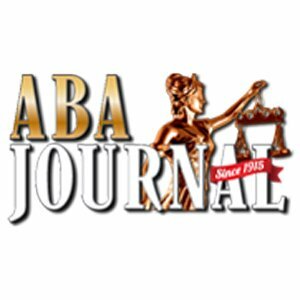 Court data and filings provide a wealth of information about judges, their rulings, the litigants, their attorneys, expert witnesses and more. That’s where litigation analytics software comes in. 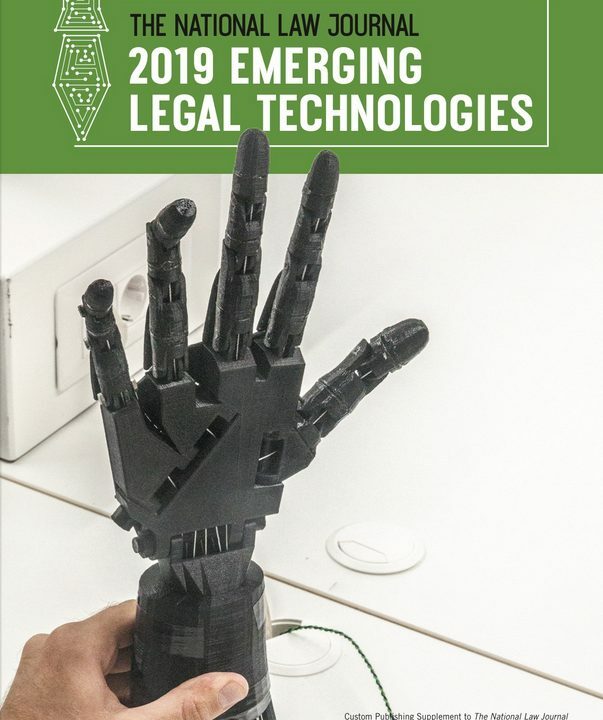 It accesses and harnesses relevant data sets and then makes sense of them and provides the user with the information needed to make informed decisions about the course of a litigation matter. Of course, the results provided by the software are necessarily affected by the quality of the data upon which they are based. As this concept is often described in the computer science arena, “Garbage in, garbage out.” So it’s no surprise that companies with business models based on the accumulation of law-related information are emerging as the primary players in the litigation analytics space: LexisNexis, Bloomberg Law, and Thomson Reuters all offer litigation analytics software. (Note that I am a Thomson Reuters author). 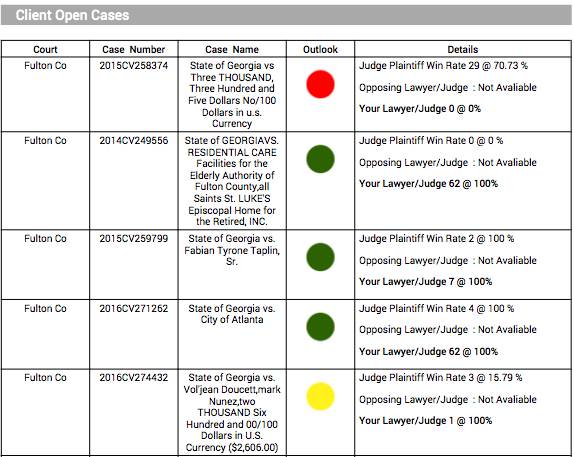 There are also stand-alone litigation analytics software suites, which I’ll discuss below. A number of different types of analytics tools are available from the different vendors that provide a host of insights into different aspects and players in the litigation process. 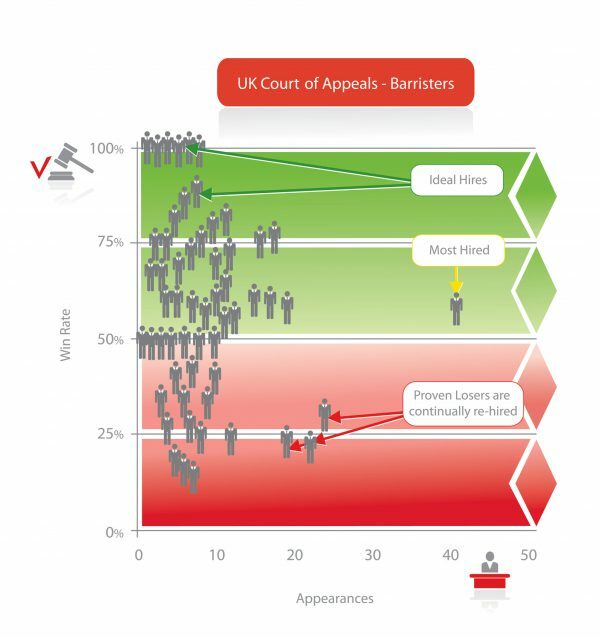 Judge analytics tools offer insight into the rulings and decision-making processes of judges, and often provide insight into whether a particular type of motion will be successful if brought before a given judge. Law firm analytics provide an analysis of data relating to a given law firm’s prior litigation history, including case outcomes, clients represented and the lawyers assigned to given cases. Company analytics includes data regarding a company’s litigation history, including lawsuits, outcomes and the law firms that handled the litigation. Expert witness analytics typically cover data about expert witnesses’ involvement in past litigation, including their CVs, which parties they testified for and whether their testimonies (or parts of it) were excluded. Finally there is case analytics, which focuses on specific types of cases and includes data on the number of cases filed, the length of the time that the case was pending in court and appearances in the cases. Now that you have an understanding of the types of data covered and how the data is analyzed, let’s dive into the software. Here are six options to consider if your law firm is in the market for litigation analytics software: But note that each product only includes the analysis of certain types of data. Also, unless otherwise indicated, the pricing information for these products is not available on their websites. First, there’s Bloomberg’s Litigation Analytics, which includes analytics on several different categories of data. This analytics suite includes Company Analytics, which includes data from U.S. district court and court of appeals dockets from 2007 forward; Judge Analytics, covering data on federal district court judges; Law Firm Analytics; Motion Outcomes and Appeal Outcomes Analytics, which are based on Bloomberg Law’s Court Opinion and BCite information; and Length of Case and Appearances & Case Types Analytics, which are based on U.S. district court dockets from 2007 forward, excluding criminal dockets and prisoner petitions. Lexis Analytics, which was just announced in mid-July and will be rolled out to all customers in September, will include Context, which offers in-depth judge analytics and expert witness analytics. I was shown a demo of Context and found that it provides this information in a very user-friendly, clean interface. Context applies sophisticated language processing to provide analytics gleaned from the following data sets: court data for all federal courts; appellate and supreme courts for all 50 states; and a growing list of trial courts, including case law and court orders. Also included in Lexis Analytics will be Lex Machina, which is already available as a Lexis product separately and offers insights into case timing, resolutions, remedies, findings and damages. Lex Machina analyzes data from the following sources: 10 areas of federal courts (including antitrust, bankruptcies, commercial, employment, product liability, securities, trademark and trade secrets), the Delaware Court of Chancery and government databases for ITC, United States Patent and Trademark Office, and the Patent Trial and Appeal Board. Westlaw Edge, which is being offered as a Westlaw subscription upgrade, was also just announced in mid-July, and a litigation analytics tool will be offered as part of that software suite. Analytics are provided regarding judges, courts, attorneys, law firms and case types. It covers dockets for every federal case type except for bankruptcy and includes data from 8 million federal cases. Premonition’s Legal Analytics provides analytics on lawyers, judges and courts, companies, law firms, and expert witnesses and arbitrators. Its database covers most state and all federal courts, and also offers data on courts in the United Kingdom, Ireland, Australia, the Netherlands and the Virgin Islands. Two other relatively new entrants into the space are Gavelytics and Docket Navigator. Gavelytics provides judicial analytics. Currently only some California superior courts are covered, although there are plans to add more jurisdictions. Docket Navigator provides U.S. district court analytics for patent, copyright, trademark and antitrust matters. It also includes the ability to receive docket alerts and offers a mobile app. For a single user, access to the patent database analytics is $72 per month and access to the copyright, trademark, and antitrust databases costs an additional $44 per month for each library. The monthly price per user decreases via a tiered system as more users are added, capping with an enterprise rate at $1,580 per month for access to the patent database and an additional $950 per month for access to each of the other three databases. Now that you have a handle on litigation analytics software, the next step is to figure out which product is the right fit. If a free trial is offered, make sure to take advantage of it. Or at the very least, watch a demo so that you can get a better sense of how the software works and whether the information provided includes the type(s) of analytics that you’re seeking. And once you’ve chosen the right tool for your needs, you’ll be well on your way to taking advantage of advanced data analytics designed to help you make the most strategic and informed litigation decisions possible. 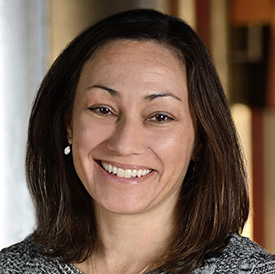 Nicole Black is a Rochester, New York, attorney, author, journalist and the legal technology evangelist at MyCase, legal practice management software for solo and small-firm lawyers. She is the nationally recognized author of Cloud Computing for Lawyers, and she co-authored Social Media for Lawyers: The Next Frontier. She also co-authored Criminal Law in New York, a Thomson West treatise. She writes regular columns for ABAJournal.com, The Daily Record, Above the Law and Legal IT Pros, has authored hundreds of articles and regularly speaks at conferences regarding the intersection of law, mobile and cloud computing, and internet-based technology. She can be contacted at [email protected].